I must confess, I'm somewhat of an Apple virgin. I never bought a mac because I couldn't understand what made them more special than the average laptop, I never bought an iphone, favouring Samsung instead because I thought the phone looked prettier, and till last month, I'd never stepped foot inside an Apple store. So now that we have an ipad in the house, (I didn't buy it, I still can't figure out how you justify the expense unless you're game obsessed) it took a me a while to A, figure out to use it and B, find anything to do on it except endlessly trawl my Pinterest. However I am slowly coming around to it's shiny, bright personality, mainly because of all the magazines you can keep on them. I'm still, and probably always will be that person who keeps all her magazines stacked in piles till someone literally makes me get rid of them (I had to lose years of Vogues last time I moved thanks to Brighton's tiny flats) but I must admit I have been kind of swayed by the interactive way to view them on the ipad. 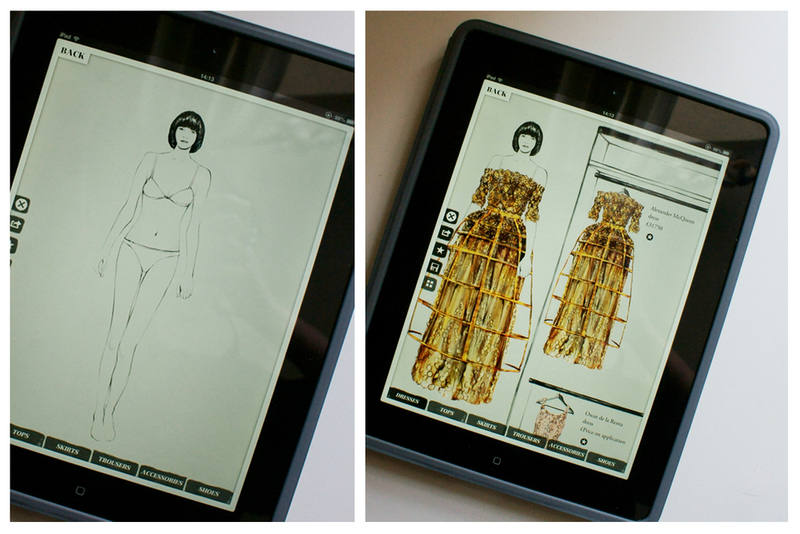 The Harrods Magazine app in particular, which I've shown here, is my favourite. 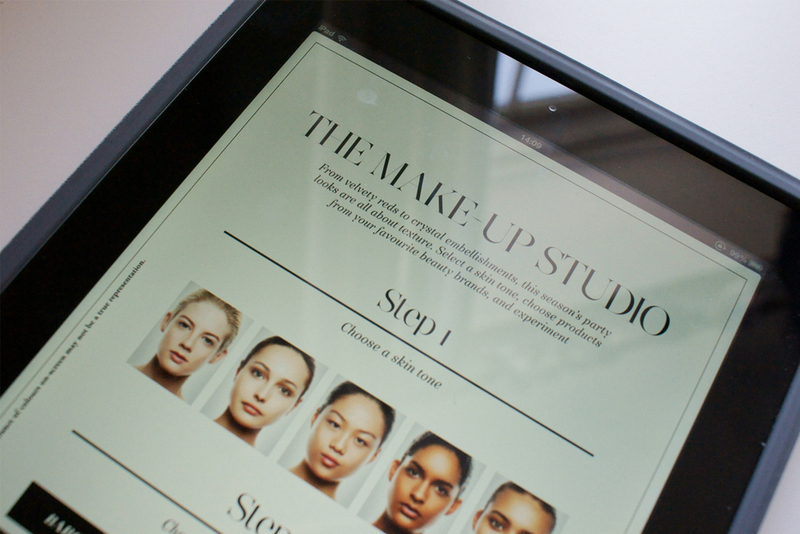 You can read articles just like any other magazine, but it also has pages where you can try out the lastest beauty trends on different models, using your finger like a make up brush. It's a little bit like being six again and putting make up on your Barbie's or your sister, but way less messy with no clean up. Every image you create comes with a little note telling you what beauty product you're using incase you love it so much you want to buy it (obviously) which is pretty good because they're all so expensive you can just put them on your dream wishlist. Along with interactive beauty, they also had an illustrated woman you could dress in hand drawn Alexander McQueen and Stella McCartney designs amongst others. Basically the magazine is a brilliant way to waste time and play around aimlessly, but a good looking way to do so. I really like it. Know of any others I should download?